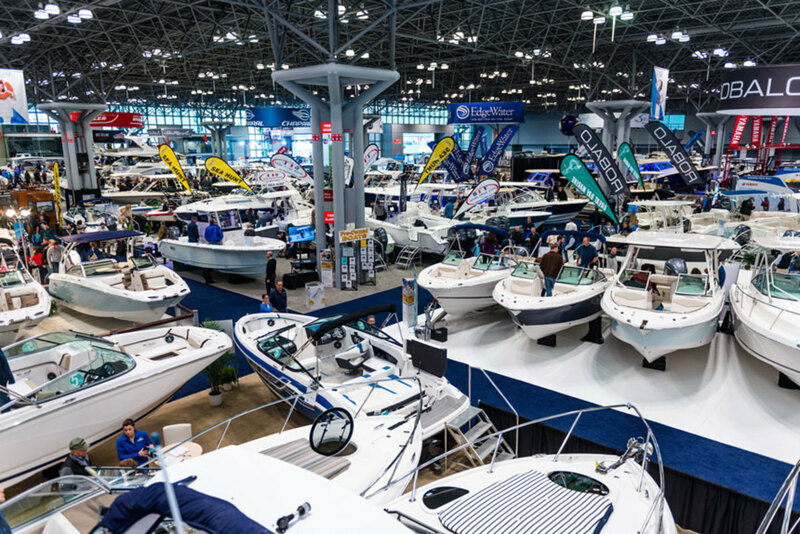 With boat show season kicking off, the marine industry is on a positive trajectory. Photo courtesy of Business Wire. The National Marine Manufacturers Association reported yesterday that the recreational boating industry experienced a 4 percent increase in sales over the previous year in 2018. The total of approximately 280,000 units sold was the highest since 2007 and the outlook for 2019 is an additional 3 to 4 percent boost in new powerboat retail sales. The NMMA estimates that the recreational boating industry contributes an estimated $170.3 billion in economic activity to the U.S. economy, which is reportedly an increase of approximately $49 billion since the last time the last time the association reported economic impact in 2012. Sales of freshwater fishing boats are estimated to be up 2 to 4 percent to 75,000 units in 2018. New personal watercraft sales were up 6 to 8 percent with 68,000 units sold. Pontoon sales were estimated to have increased by 4 to 6 percent to 58,000 units in 2018. Wakesports boats had the highest percentage increase 9 to 11 with 10,000 sold last year. New cruisers that measure between 22 and 32 feet were estimated at being up 2 to 4 percent with 9,000 units sold in 2018. The Top 10 states for recreational boating economic activity are listed below.